Fill in your details below and we will let you know within 24 hours if we can get Pirate Fluxx to you with haste! Yarr! Grab yer Cutlass! 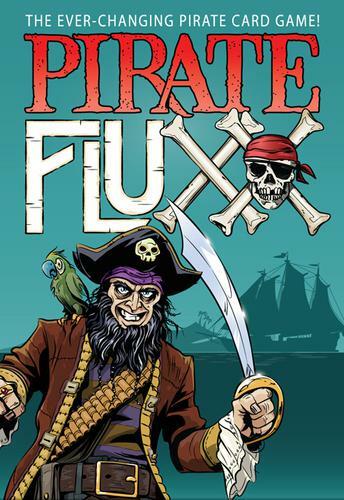 Pirates have taken over Fluxx, the ever-changing card game, and their rules be new and strange. There'll be times ye must Talk Like A Pirate, and rules about how ye can Plunder from yer mates. But the most excitin' treasure fer Fluxx fans new and old is the Surprise! - a new card type that you play out of turn! Your trusty Monkey can watch over the Gold Doubloons while you commandeer Ships on the high seas, but only Fruit can protect you from Scurvy. You'll enjoy the privileges of wearing the Captain's Hat... but watch out for Mutiny amongst the crew!